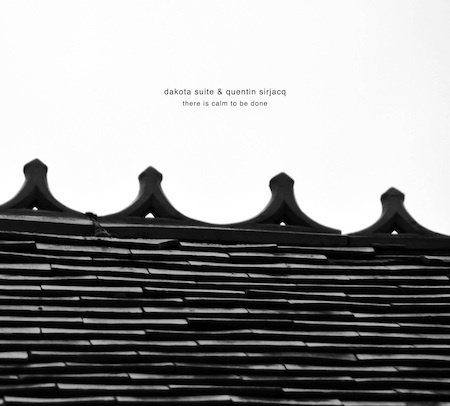 Following 2011’s The Hearts of Empty Liverpool based band Dakota Suite led by Chris Hooson in collaboration with David Buxton are back with another superb album on Karaoke Kalk. While Hearts of Empty was a distinctly jazzy instrumental album, There Is Calm To Be Done takes us further down a path of left-field song-writing and alternative pop. The album was produced together with Quentin Sirjacq with whom Dakota Suite have already worked in the past, on “Valissa” (2010) and “the side of her inexhaustible heart” (2012). The most striking thing about the Dakota Suite sound is their immense instrumentation. While most songs are driven by the piano they are adorned with all kinds of instruments to provide an overall timbre of great majesty. The presence of brass parts, woodwind, double bass and a wide array of instruments makes for a special sound. Rhythmically, the drum parts throughout the majority of “There Is Calm To Be Done” are played with brushes, which takes the edge off and adds a gentleness that only the swooshing of brushes can achieve. The use of lap steel on the opening number “This Is My Way Of Saying That I Am Sorry” conjures up a definite country rock feel. While the album is mainly song based, there are vast instrumental passages strewn throughout the record and intermingled between songs. “Flat Seat” is one such instrumental tune with a decidedly filmic character; a lilting composition both mesmerizing and intriguing. Much of the album feels as if it could be film music, and each tune conjures a vivid image in the listeners mind to which the music plays the soundtrack. Hooson’s vocals are striking both for their singing style and lyrical content. “Dronning Maud Land” for example begins with the humorous line “I seem to have grown myself a pair of old mans hands” but the delivery is sombre and melancholy. “In the Stillness of this Night” is a powerful ballad that fuses the touching vocals and lyrical style that is so prevalent on the album with an evocative arrangement. In keeping with its title “Committing To Uncertainty” is a somewhat darker composition. The brass and woodwind orchestration builds to a powerful crescendo. “Be My Love” stands out as a prime example of singer-songwriting as it relies solely on acoustic guitar and vocals. Without the support of a backing arrangement, the song has to be that much stronger to stand on its own amongst all the instrumentation of the rest of the record. It is an unspeakably tender song with a highly fragile yet resolute emotional lure. The penultimate track on the album is also its song and true to its name is a delightfully calm tune. The record draws to a close with the minimally orchestrated “I Miss The Dust”, a very delicate instrumental that drifts away like leaves on a breeze. 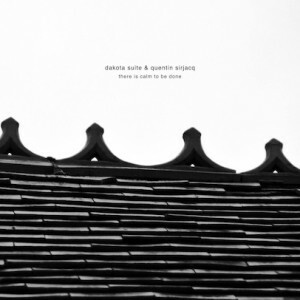 Dakota Suite’s music has covered such diverse genres as lo-fi, folk rock, electronic, ambient and taken in elements of jazz and modern classical. The band has their very own, highly personal and unique sound used so frequently by film makers and theatre pieces. “There Is Calm To Be Done explores the art of song-writing while also venturing beyond, into new fields to create something new and subtle.